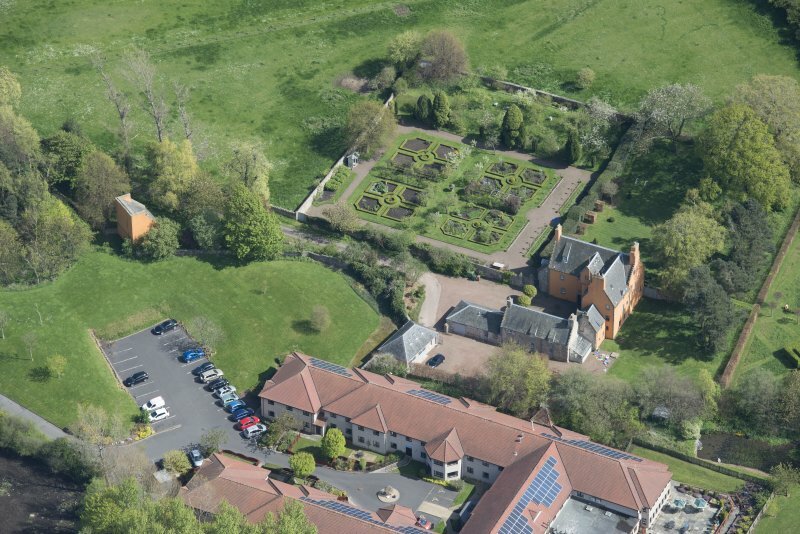 Oblique aerial view of Liberton House and walled garden, looking WNW. 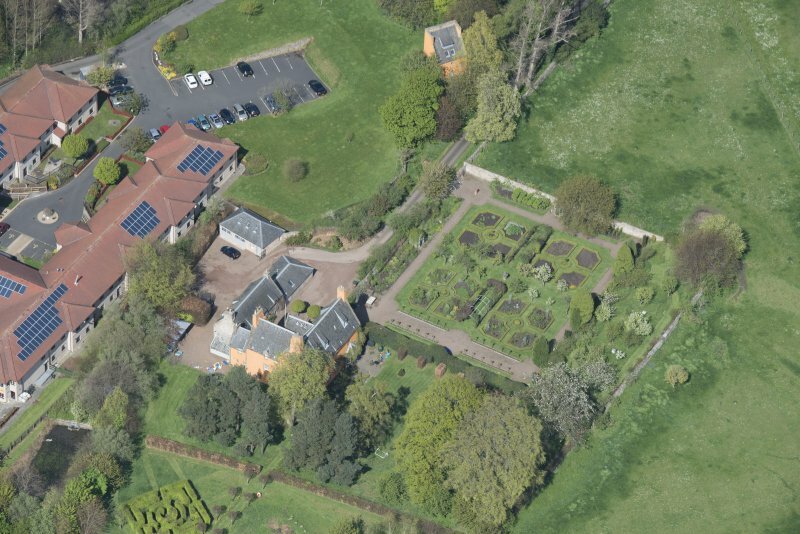 Oblique aerial view of Liberton House, walled garden and dovecot, looking SSE. 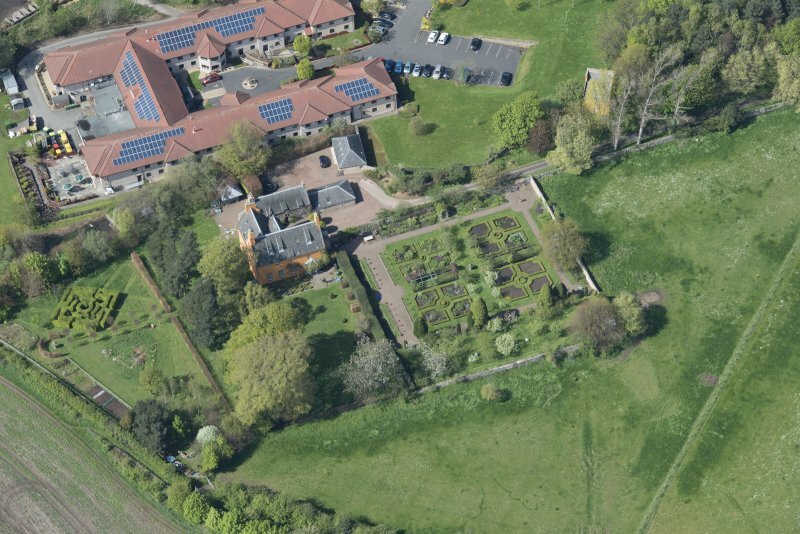 Oblique aerial view of Liberton House and walled garden, looking NW. 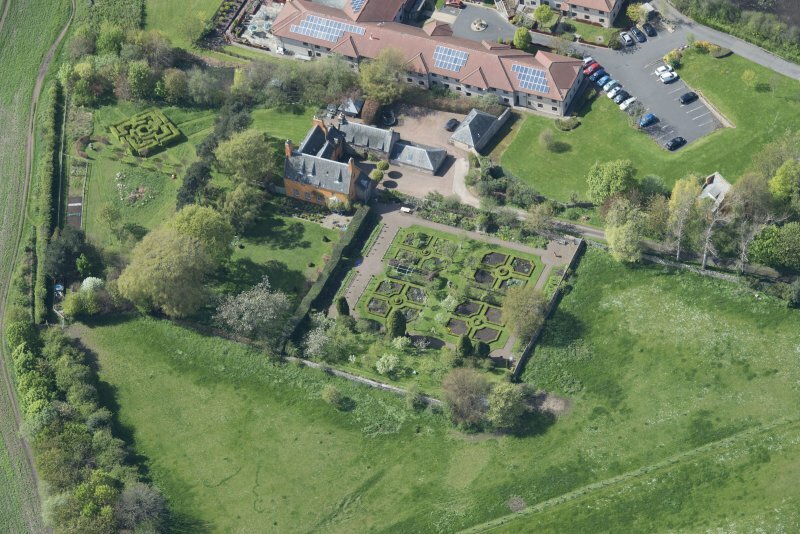 Oblique aerial view of Liberton House, walled garden and dovecot, looking E.
Oblique aerial view of Liberton House and walled garden, looking NNE. 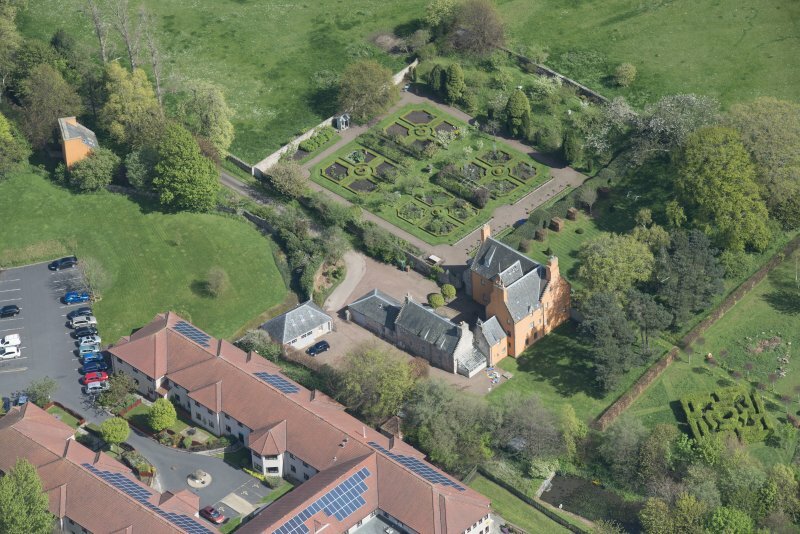 Oblique aerial view of Liberton House and walled garden, looking NNW. 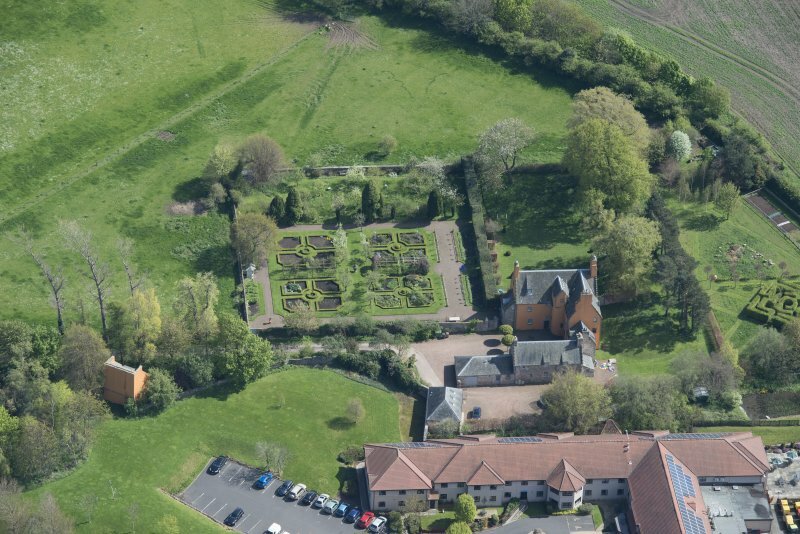 Oblique aerial view of Liberton House, walled garden and dovecot, looking SE. 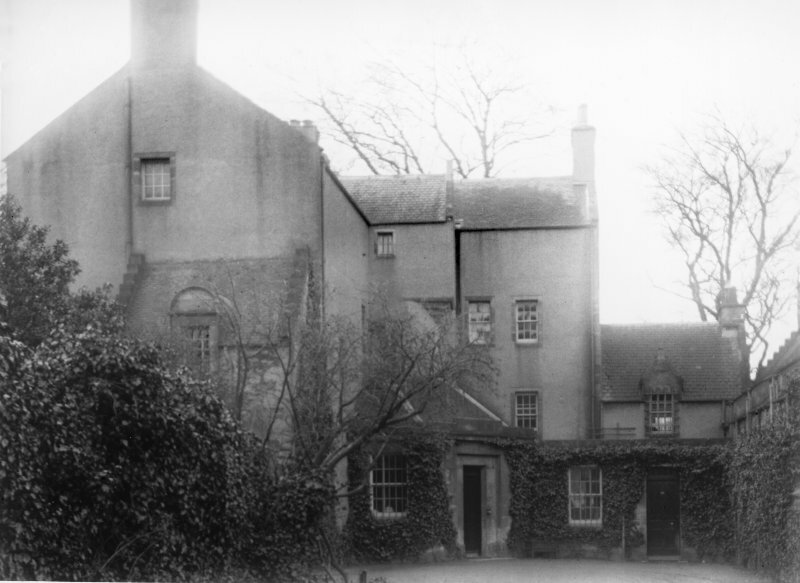 Liberton House, which forms the SE wing of a block of buildings, was built in the last quarter of the 17th century. 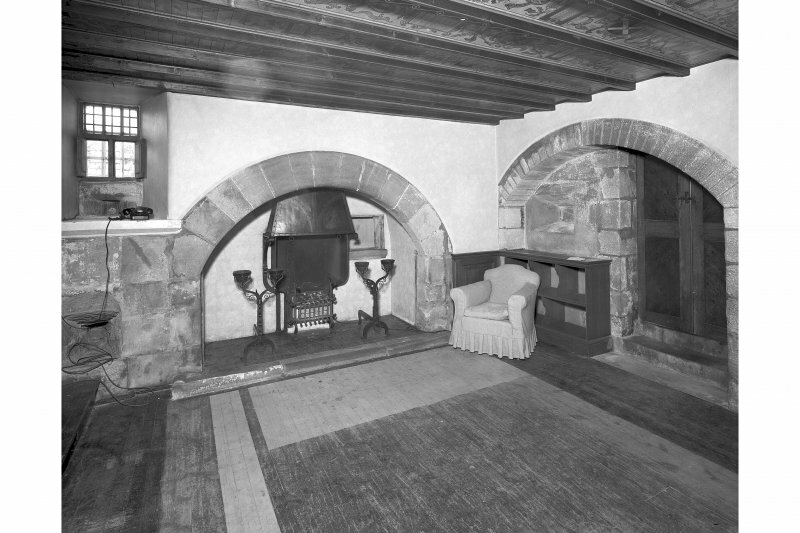 It was restored not long before 1921 to reveal its character. 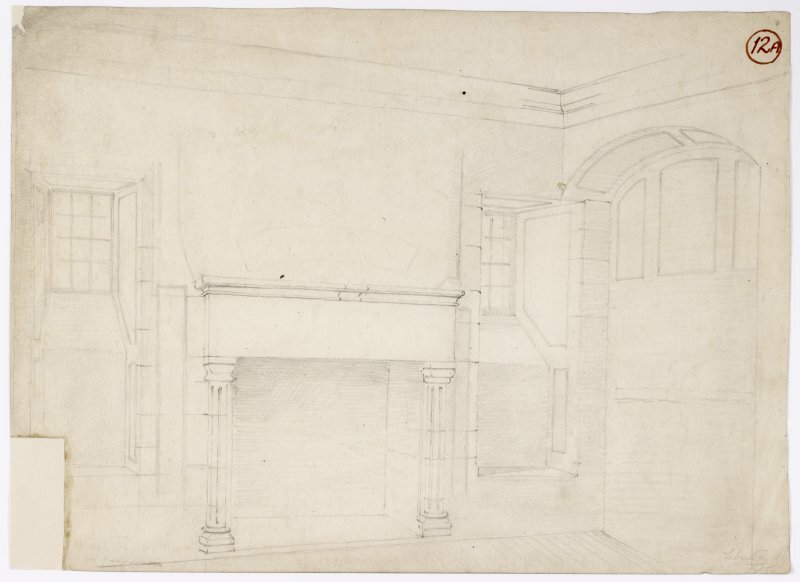 The house is L-shaped on plan, and was originally two-storeyed, beneath a garret, with a 3-storeyed wing. 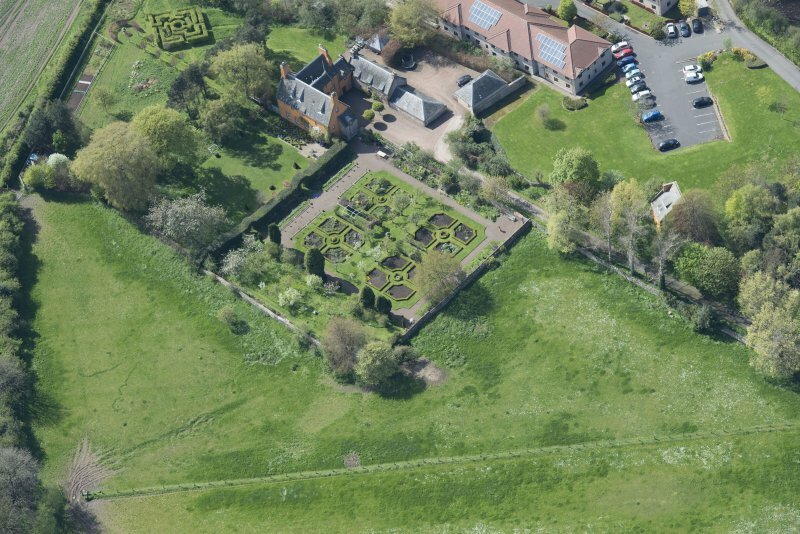 The outbuilding is probably slightly later that the house. 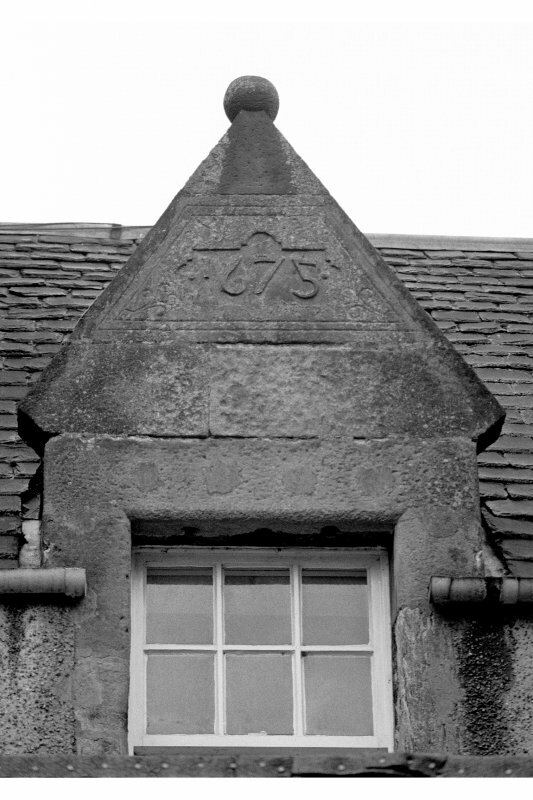 One lintel is dated 1682. 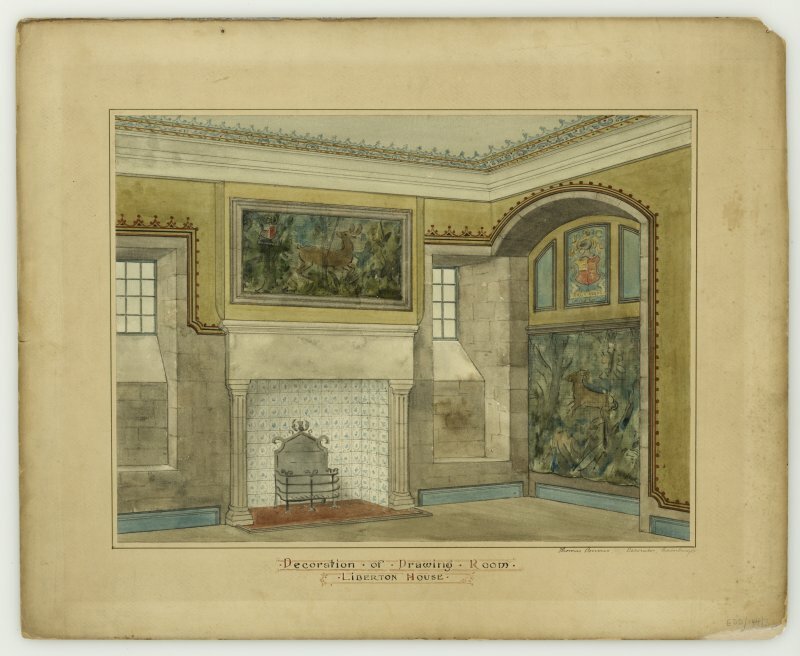 The house is inhabited and in good repair. 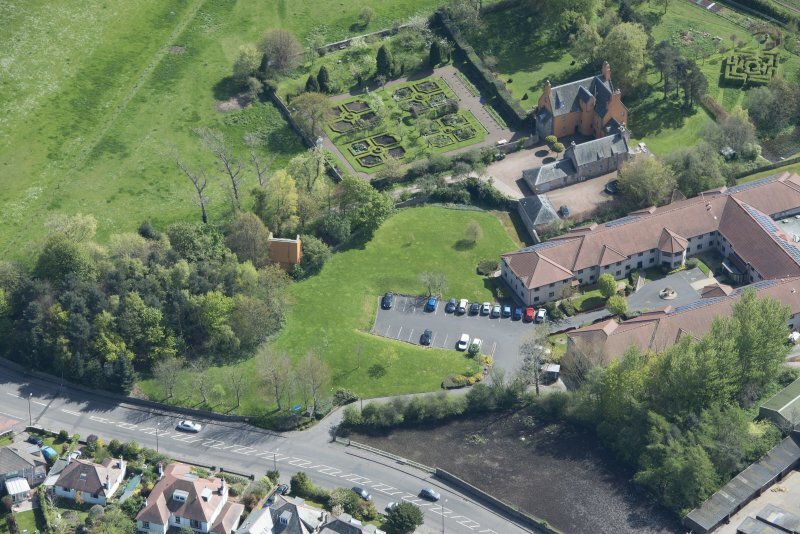 NT 2679 6934 A programme of monitoring and building recording was undertaken during May 2011 in advance of a small development within the grounds of Liberton House. 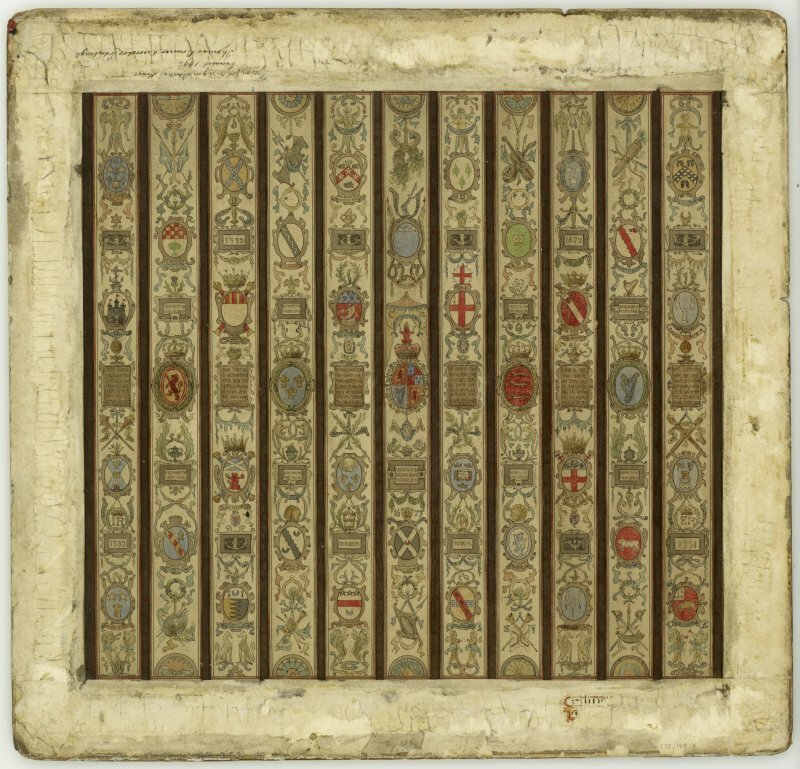 The excavation of an 8m long foundation trench and two small test pits revealed that the entire footprint of the development consists of up to 1.5m of made ground. 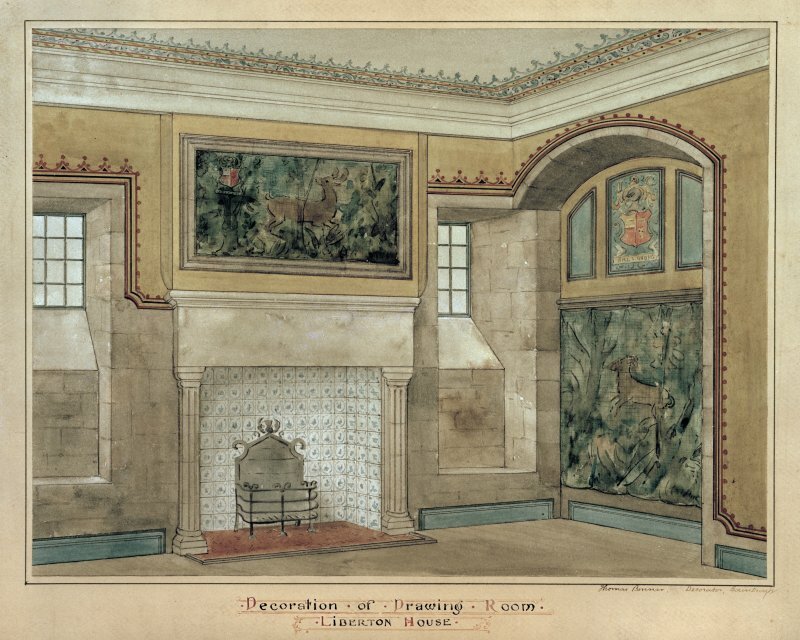 A significant quantity of 19th- to 20th-century ceramic fragments, bottles and brick were recovered from this deposit. 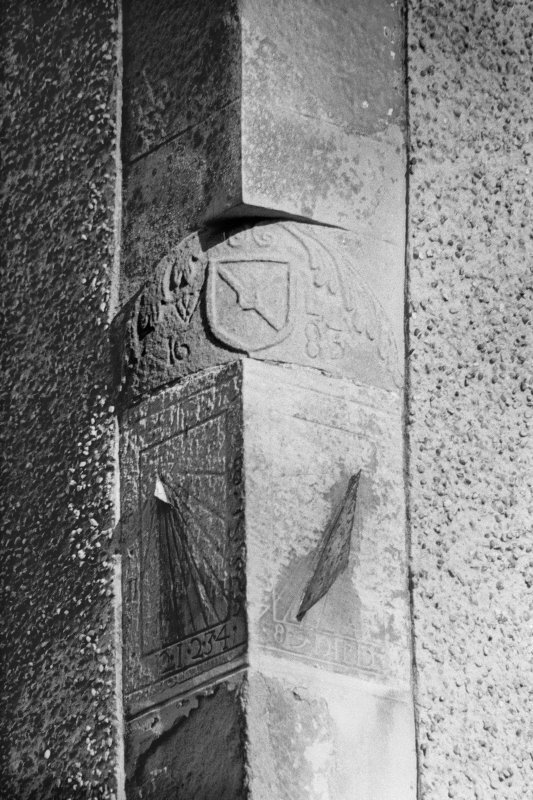 The survey of the upstanding stone wall affected by the development revealed a number of minor features and possible evidence for two phases of development. 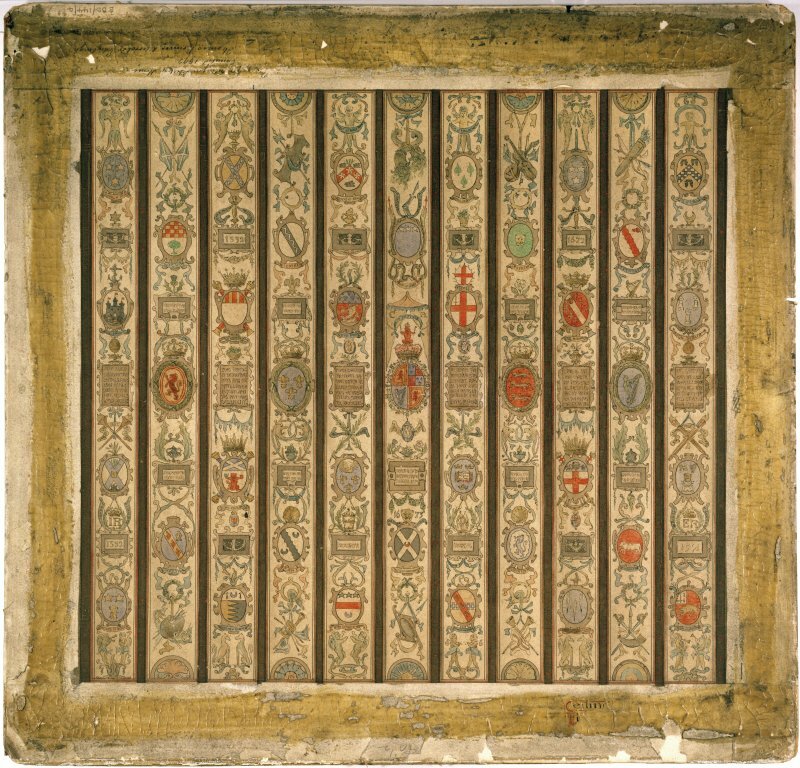 The wall fabric included a significant amount of repair, including a brick and cement capping. 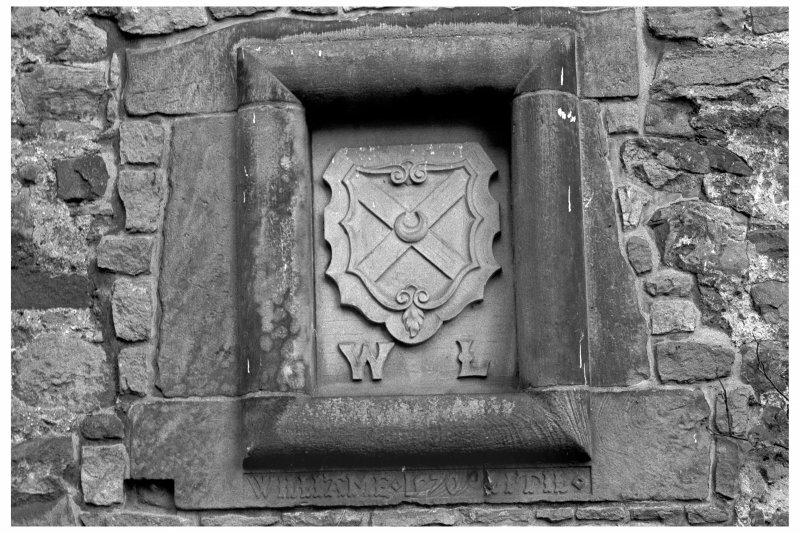 The wall is thought to represent one elevation of a long rectangular building first depicted on the 1st Edition OS map of 1858.